Hello and welcome to a new challenge over at the Glitter 'n' Sparkle Challenge blog. Our amazing sponsor this week is Crafts and Me. 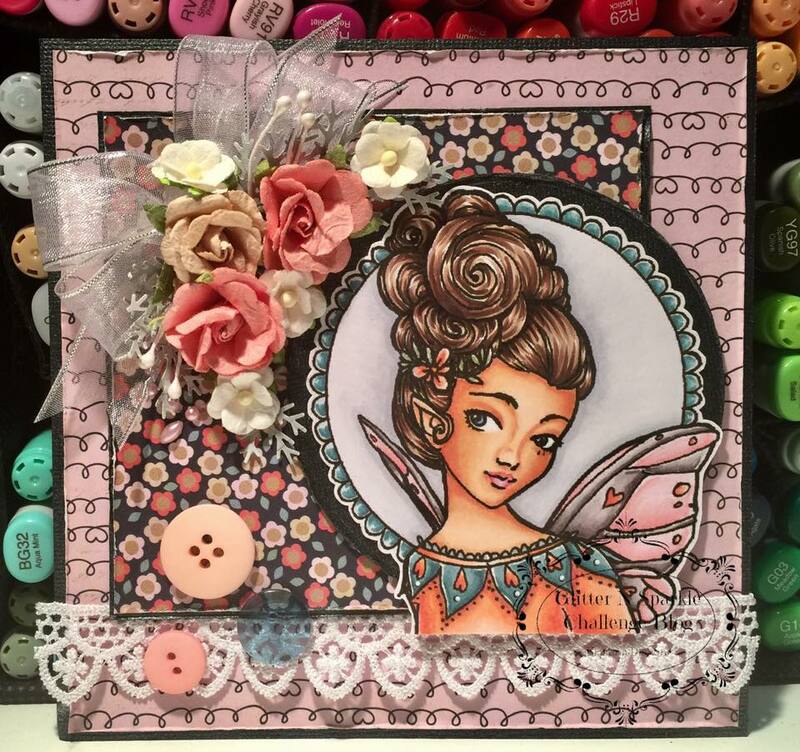 For my card this week the image I chose is called - Heart Pixie by Sara Burrier - available at Crafts and Me. This is such a gorgeous image - all that lovely hair piled up on her head was a challenge to colour! I have coloured her with copic markers after picking out the patterned paper I wanted to use so I could match the colours.. The patterned paper is from Pink Paislee - 6x6 pad - Switchboard. I chose to use ribbon and lace on my project and some lovely flowers and buttons. Love how it turned out!